A new FEMA 361 Tornado Safe Room was included in the Elementary School design through funding from the FEMA Hazard Mitigation Grant Program. This 7,500 s.f. 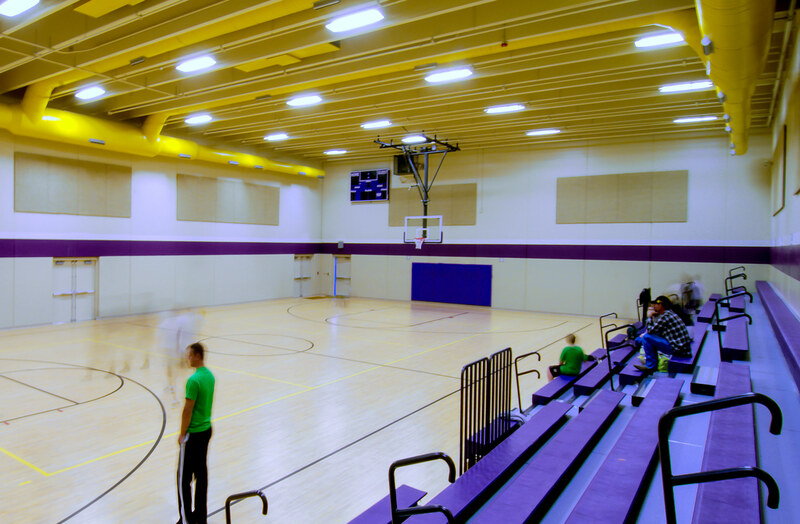 space functions as the new Gymnasium and will safeguard students, staff, and the surrounding residential community in the event of high wind storms. The Safe Room is easily accessible to the students via the Commons Area, and also allows direct access to the public via the north parking lot. The Safe Room lends peace of mind to community members and the parents of the youngsters on site.